For six decades the identity of beauty pioneer Sally Hansen, the namesake for the iconic Sally Hansen brand, has been a mystery. Three years ago Coty and the Sally Hansen brand began a mission to find her with a team of investigative journalists. They scoured internet archives, genealogical databases and city hall documents and followed countless dead-ends to ultimately reveal the legacy of the fearless female entrepreneur, whose true legacy can only now begin to be understood. When Sally Hansen died in 1963, she left behind virtually no record of her existence. The mission to find Sally Hansen began in 2014 at the direction of the, then, new and passionate brand leader Jeremy Lowenstein and revealed an astonishing 49,120 women with the name Sally Hansen. Through meticulous research, the team was able to narrow that list down to 14,000, and after countless dead-end leads and cold phone calls, located an obituary of a factory worker previously employed by 'Sally Hansen Cosmetics.' This turned out to be a key finding that led to the discovery of two living relatives of Sally Hansen. From there, by piecing together photos, marriage certificates and other documents, Sally Hansen's story slowly began to unfold, revealing a self-made woman far ahead of her time. Sally Hansen was more than just a beauty innovator and business woman, she was celebrated for her avant-garde style and progressive views. In a time when most women ran households, not companies, Sally dared to embark on a dream and create an empire using her frank voice and vivid vision. Her story began in 1935 when Sally acquired her parents' cosmetic store, "La Finné" and converted it into "House of Hollywood", a parent company of brands and products spanning multiple categories, including cosmetics, hair care and fragrances. In 1941, Sally orchestrated a swift and stunning corporate turnaround taking "House of Hollywood" national. 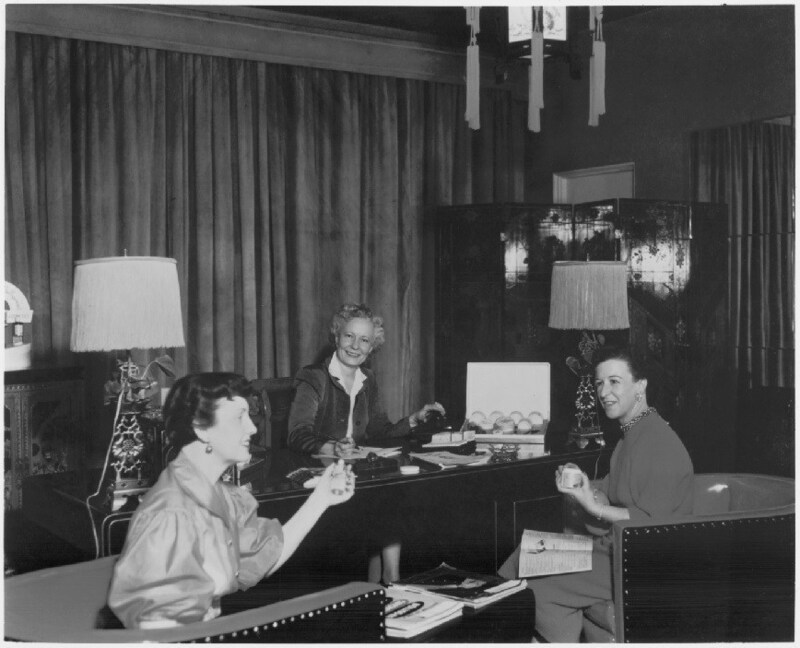 By 1945, Sally was living in New York City where she moved to expand her business and set up Sally Hansen, Inc. In 1957, she trademarked the game-changing "Hard As Nails", the original strengthening treatment that is still a best-selling product in the brand's portfolio today. This was the first product to bear Sally's name, for which the logo was designed by her third husband, Jack Newton, a graphic designer. In addition to her beauty business, she served as the first female chair of the California Cosmetics Association, as well as a beauty columnist, penning over 90 articles entitled "Your Candid Mirror" in the Los Angeles Times. She was revered as an exceptional writer who inspired readers with advice about beauty and personal care, including topics from manicures & pedicures, to lipstick and hair care and even posture. A fixture in the Hollywood social scene, Sally and her trend-setting second husband, Adolf Hansen, hosted a stream of star-studded parties at their glamorous Spanish style villa. Sally Hansen was also an animal lover, ballet dancer, choreographer, and globetrotter. A visionary beyond her years, she believed that beauty was more than lipstick, nail polish, and being well-groomed; beauty was kindness, tolerance, self-confidence, character, and mental attitude. She exemplified boundless energy, innate business savvy and steely confidence. The legacy of the beauty icon lives on today through the Sally Hansen brand essence that is both authentic and functional beauty. A self-made woman, who unapologetically defied her era, her story will inspire, and product will be passed on for, generations to come.